Millions of consumers are struggling with debt repayments and 18 per cent have missed a payment in the past year, new research claims. One in three are struggling to manage their debts and 20 per cent said their credit score had been negatively impacted because of this, according to the results of a poll. When excluding mortgages and student loans, the most common type of debt for consumers to have is a credit card, followed by personal loans, mobile contracts and overdrafts. 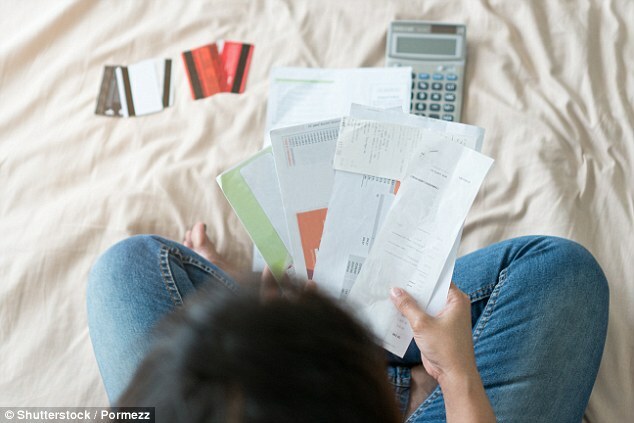 The comparison website uswitch.com questioned 2,000 people on their personal debts and 74 per cent of respondents said they had some sort kind of debt. This included a wide-range of debts such as credit cards, payday loans and catalogue credit, along with more everyday debts such as mobile phone repayments and home and insurance policies paid monthly. When looking at the average amount owed, the highest amount was for car finance loans, at an average of £3,275.93, followed by personal loans, at an average of £2,982.35, credit cards at £1,947.43 and payday loans at £1,101.46. When asked what the main reason was for taking on extra debt, 25 per cent said home improvements and 21 per cent said for holidays when looking at all age groups. While for those aged 18 – 34, 24 per cent said the two main reasons for taking out credit was to pay for food costs and to improve their credit rating. While some debts are quite common and being managed – monthly payments for home or car insurance, or credit cards which are paid off, for example, these are quite different to problem debts which people are unable to pay off. Recent research from the charity Step Change, showed that around 3.3 million people in the UK are experiencing severe problem debt and around 9.3 million are showing signs of moderate financial difficulty. Peter Tutton, head of policy at Step Change, said: ‘There is a blurred line between helpful credit, which is a normal part of life for many people, and problem debt. ‘For most of the clients we advise, credit only turned into problem debt as a result of a change in circumstances or a trigger event such as unemployment, illness, bereavement, relationship breakdown or another life event. ‘We estimate that around 3.3 million people in the UK are experiencing severe problem debt, and that around 9.3 million are showing signs of moderate financial difficulty. If you’re worried about your credit rating, there are a number of things you can do to boost your score. The credit reference agency Experian recommends the following five tips to start with. Lenders will check your name and address on the electoral roll to confirm you are who you say you are. People with limited history are sometimes known as having ‘thin files’ so to bolster it, take out a form of credit, like an overdraft or credit card, and show you’re good for the cash by staying within your limits. There are also types of credit cards specifically designed to help you boost your credit report, including ones designed for people with low credit scores. 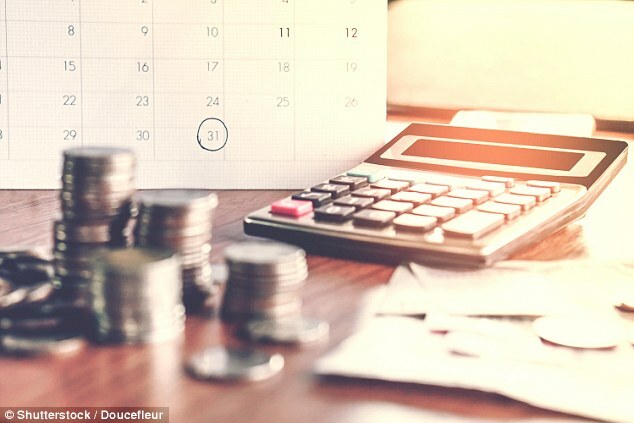 You should always try and meet your monthly payments – if you don’t your credit score can be affected for up to six years, although its impact will lessen over time. If you default on one of your accounts – often when you’ve missed several payments in a row– your score will also be adversely affected. Having well-run accounts with low balances is likely to impress a prospective lender. The lower your balances compared to your credit limits the better. If you can, try to keep the balances to under 50 per cent of the limit on each card. If you make several applications for credit in a short period, it can be viewed by lenders as a sign that you are struggling financially – and of course each application is recorded on your report as well. If you can, aim for no more than one application for credit in a three-month period. Almost half of all those asked said they hadn’t checked their credit score in almost a year, if at all, but this can not only be a useful way to find out how likely lenders are to approve you for a credit, it’s also somewhere to look regularly in order to spot identity fraud. This is because any time someone makes an application for credit it will appear on your credit score, so if someone has your details and is trying to take out credit, this is the place it will show up first. Tashema Jackson, money expert at uSwitch.com, says: ‘When repaying your debt, it is important to do so in a responsible manner. Always make the minimum repayment, ideally set up a direct debit to pay the bill monthly. Then, if you can, pay more than that minimum payment whenever possible as it could significantly reduce how long it will take you to pay off your debt and the interest you’ll pay. If you are struggling to clear your credit card debts it can be tempting to bury you head in the sand, but there is free help and advice out there which can help. This is Money has put together a 10 step plan to help get out of debt which you can read in full here. You can also get free help from debt charities and advice websites, which have guides and factsheets or let you speak to an adviser who can help explain your options.